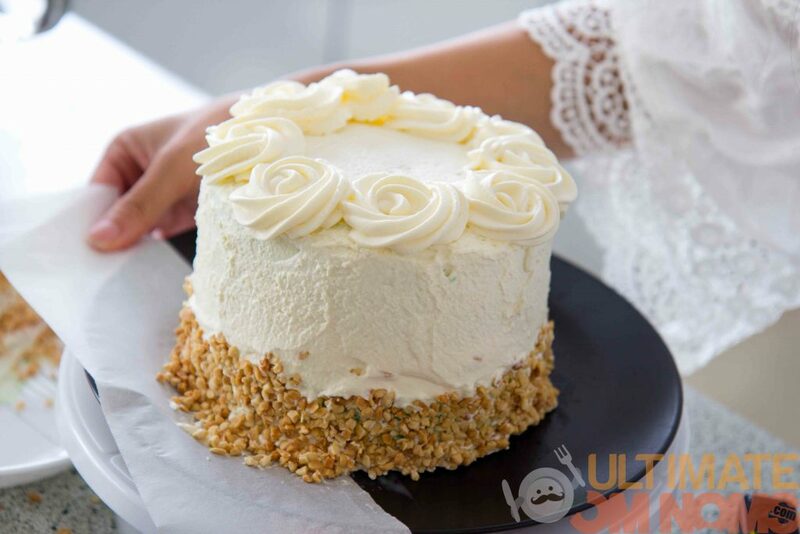 I love experimenting with different cakes but my preference always comes back to a lighter cake crumb. Growing up in Hong Kong, the typical birthday cake would be a light sponge filled with chanchilly cream and fruit. Simple and not too sweet. Way before the indulgent buttercream and chocolate drips came into fashion. Now having spent most of my life in New Zealand, I’m grateful to be exposed to dessert from different cultures. 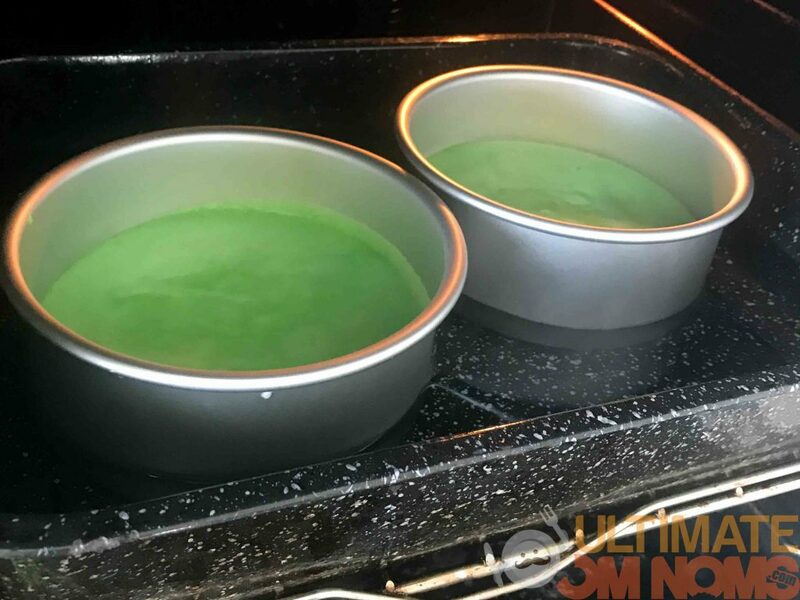 This is my version of pandan cake that is nicely moist and spongy. 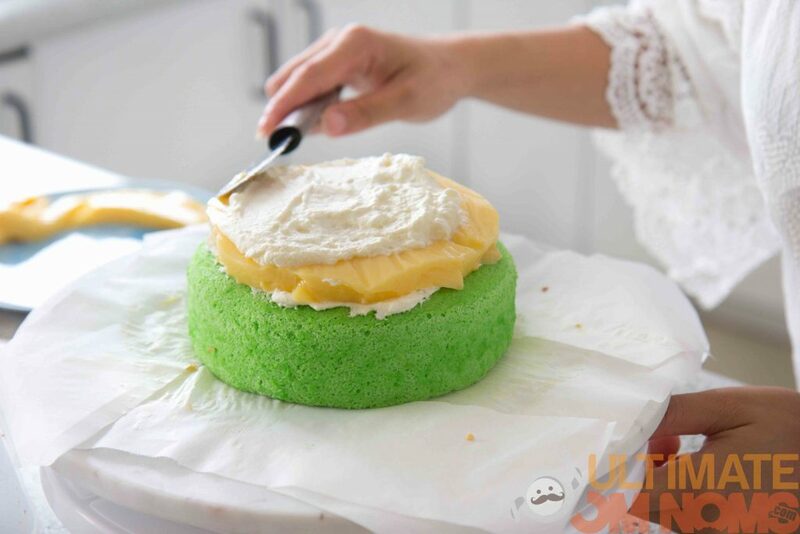 Read on to see the secret to the moist fluffy centre. 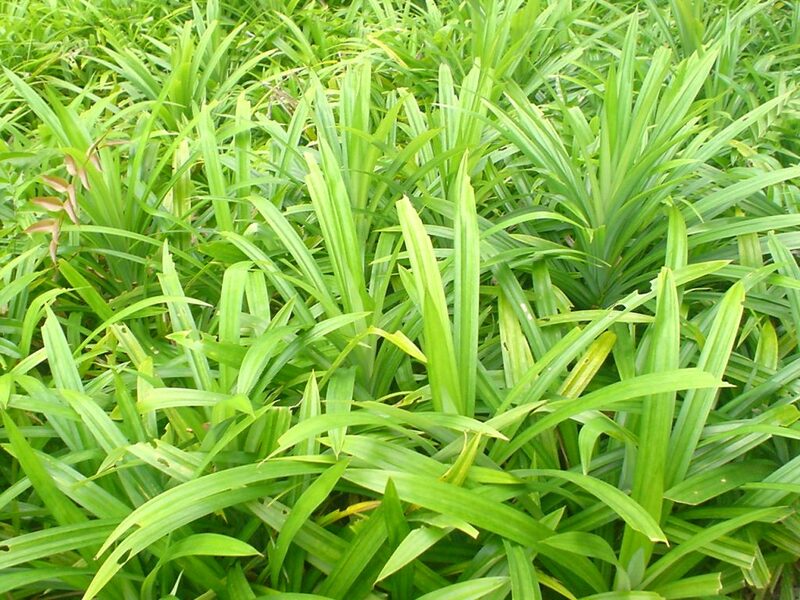 Pandan or pandanus amaryllifolius has a characteristically light nutty botanical aroma and is widely used in South East Asian cooking. 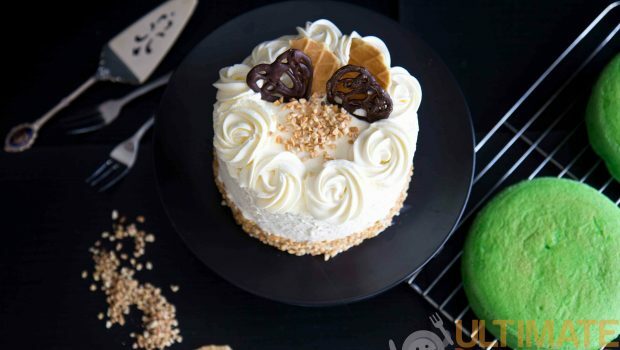 Pandan cake is somewhat the national cake of Malaysia and Singapore, known for the light and fluffy green-coloured cake. 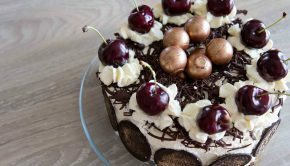 Interestingly the cake technique comes from the European colonisation of the countries as the colonists had brought along their pastry-making techniques with them. 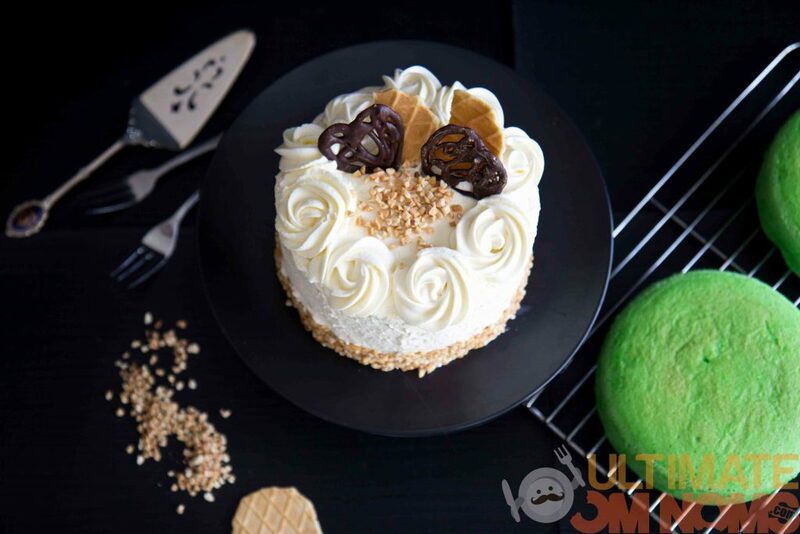 The fusion of the techniques and local ingredients created this dearly loved creation called pandan cake. Pandan is also used in other culinary creations including flavouring coconut rice, other desserts and drinks. 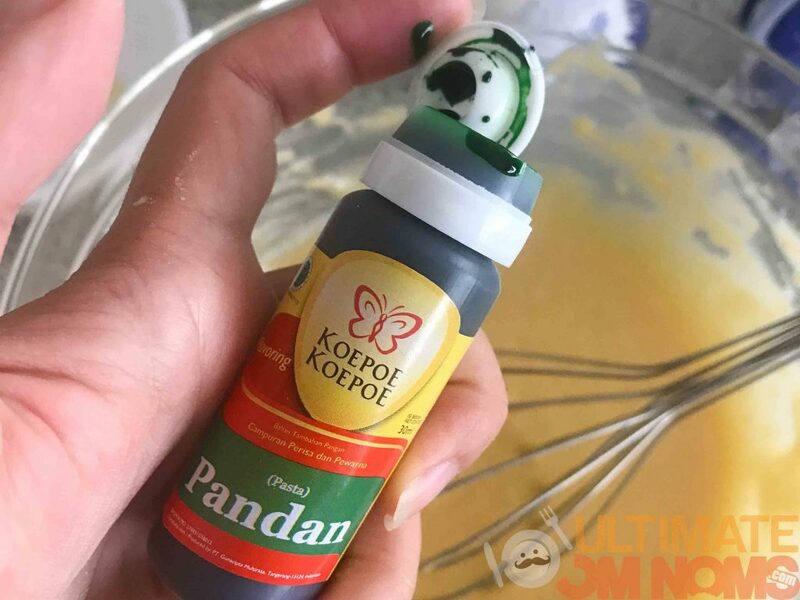 The pandan essence I use comes with preloaded green food colouring and it is quite fluoro. For my own tasting research, I would try using juice from pandan leaves or pandan extract. All essence, pandan leaves or pandan extract can be found in your local Asian grocery store. Beat the egg whites and cream of tartar and gradually add in rest of the castor sugar. Beat until it reaches soft peaks, not stiff peaks! Bake for 22min at 170°C in a water bath. <- this is the key to a moist and spongy texture! Let it rest for 10 minutes before taking it out of the pans. I like to add egg pudding (comes in a packaged box, like jelly) as a cake filler because it has a nice subtle taste that pairs well with the pandan aroma. Here’s a nifty trick to keep your plate nice and clean after decorating. Always line your plate with 4 strips of baking paper! 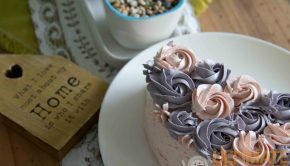 Especially when working with tinkles of nuts/chocolate chips/crumbs on the side of the cake, this will save you from an agonising kitchen cleanup. 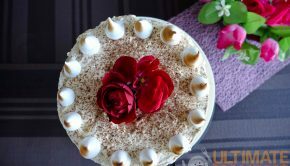 I enjoy the addition of crushed peanuts or roasted sliced almond with the cake. 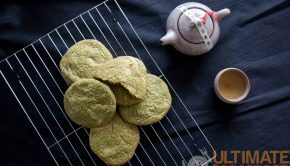 It complements the nutty tone of the pandan flavour, and brings dimension to the otherwise soft and light texture.